It turns out, from the results of analyses, that the essential oil contained 4 types of pesticides. 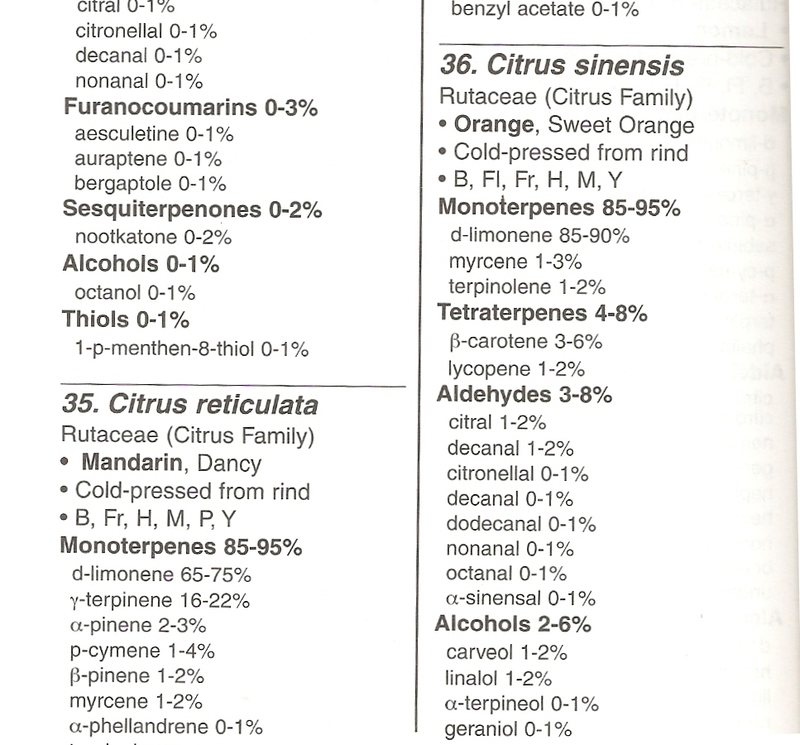 The presence of these pesticides has obvious to do with the cultivation method of the oranges in Spain. Imazalil is also used to protect potatoes, citrus fruits and other fruits agains fungicide after harvesting. Of fruits which are been treated with Imazalil, the peels can not been eaten. Number 3 o-Phenylphenol is added to the wax exterior of the peel to improve the durability. 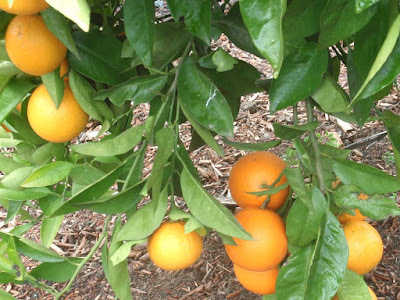 The other three pesticides have other functions and are sprayed in the growing period of the fruits. 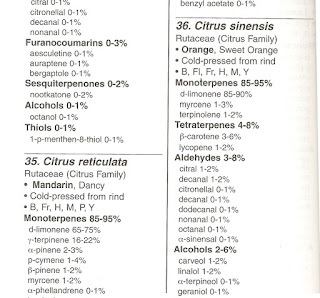 These chemicals added to the plant comes eventually through the peel into the essential oil. The presence of pesticides in this essential oil makes its unusable for internally and externally applications. For exemple how aroma therapists use this oil in their practice. So this is enough reason to buy only essential oils of plants which has been grown organic. In wikipedia on can read if the peel has been grown with the pesticide Imazalil, you can not eat the peel. 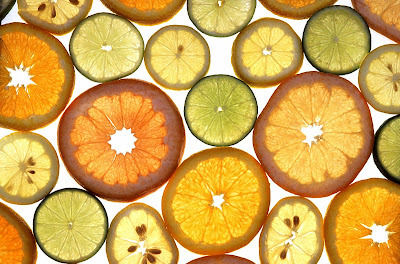 People using citrus peels in their diet and menu should be informed beter. 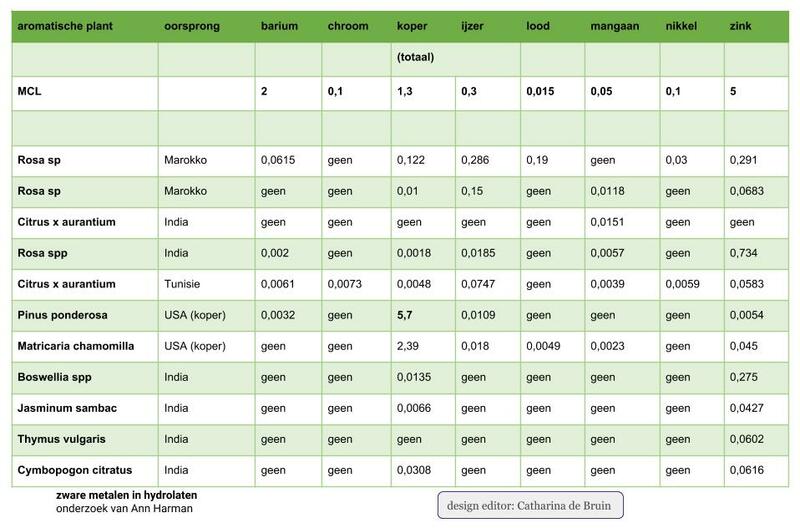 It’s time growers of citrus in the mediterrean region switch to organic growing methods. So the peel is no longer a (chemical) waste product, but can be used as valuable material! 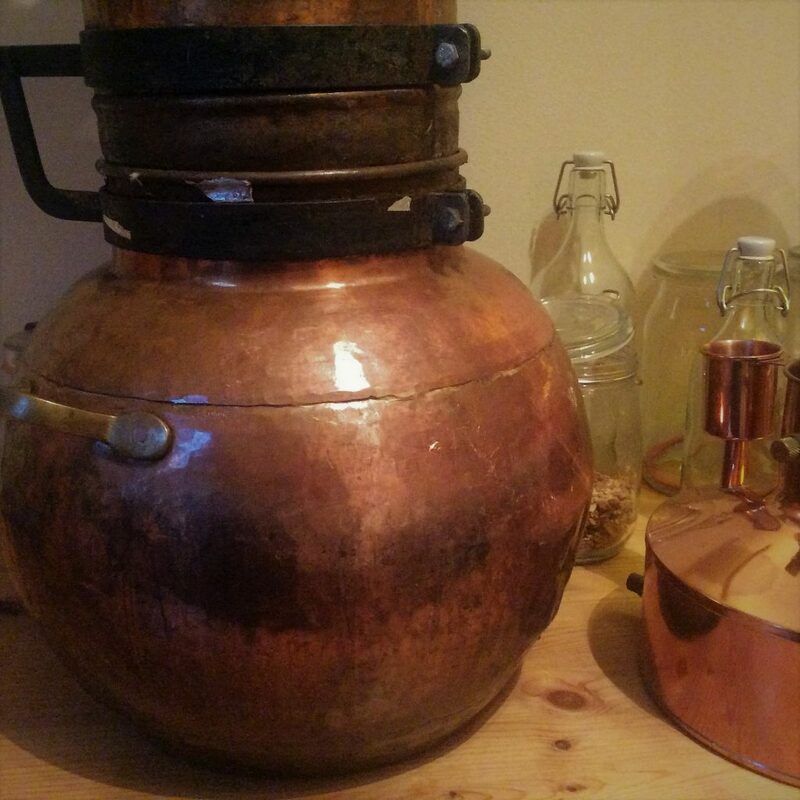 In my previous article I wrote about distilling orange peels. Out of 33 Kg orange peels I distilled 100 ml essential oil. From literature and a number of analyzes undertaken by IFF for students in my school I knew that the main component of the oil is limonene. I thought it was interesting to analyze the composition of the oil. Last Saturday I received the analysis results. The percentage of limonene, nearly 94%, is indeed high. Even higher than David Stewart in his book indicates as upper limit. Pyrenessences who performed the analyzes detected 68 different substances. 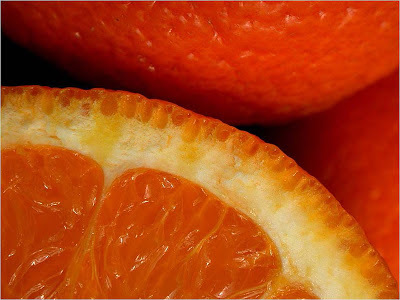 The final conclusion was that the oil composition complies with the ISO 3140: 05-2011 standard for sweet orange. The oil complies with this standard, if the analysis shows that the compunds be within a certain percentage. For limonene that is between 93 and 96%. If you are interested in more analysis results please send an email with a request for some background to indekoperenketel@gmail.com. For the harvest festival which was held last year october, I was looking for a residual product, say waste, which can be distilled for making essential oil. That residual I had soon figured out. Almost every year graduated students are distilling orange peel. From about 400 grams of peels they remove about 4 mL orange essential oil. The orange peels supplier was soon found. 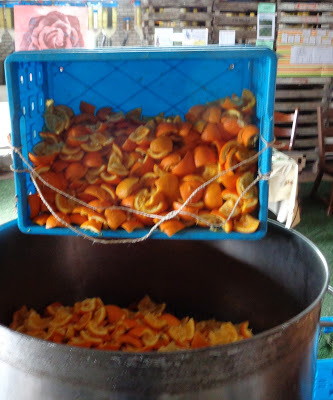 At Tuinderij Peeters we were able to collect 4 crates with orange peel of Valancia late. They had the peels that remained last week in from the orange juice press kept in the refrigerator. For the transport of full and heavy crates I got my bicycletrailer once again. The morning after in the distillingplace I started to reduce the orange peel before they were ready to be in the distillation boiler. That was easier said than done. It took me more than half an hour to reduce the content of three folding crates. To increase the yield of the skins filleting would have been even more efficient. Maybe next time with the help of some volunteers? Because the essential oil is located in the orange part of the peel. I had a total of 33 kg (!) orange peels brought into the still. 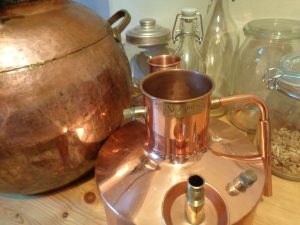 After placing the lid of the kettle in place, made the connection to the cooling bucket, I was ready for distillation. For me it was the first time I had filled the distillation boiler with such a large quantitiy. 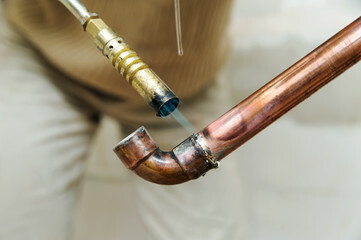 In an herbal or conifer twigs filled boiler the amount is usually not more than 18 kg. It also took 2.5 hours (!) before the first distillate dripped from the cooling bucket. The thermometer crept painfully slowly. 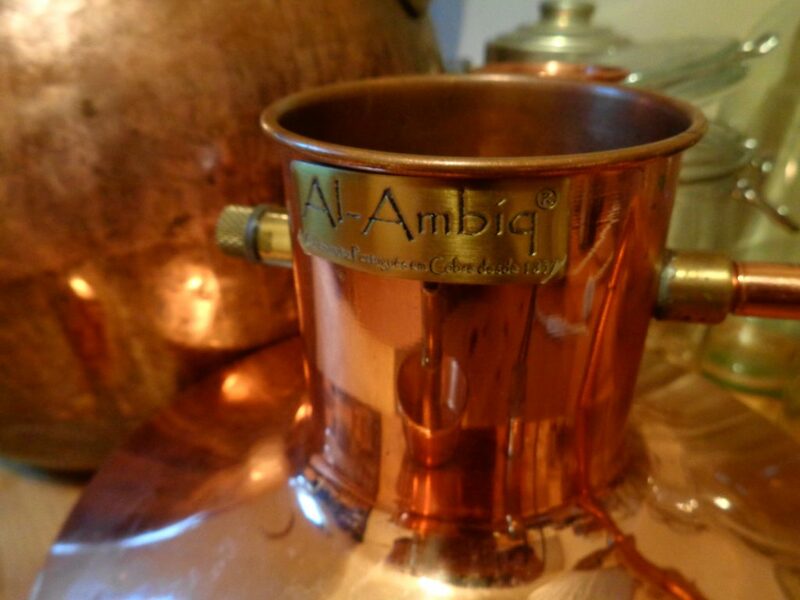 But patience was rewarded when the distillation was once launched. There was spreading a wonderful sweet orange scent in the distillingplace. Soon a thick layer of essential oil was formed in the Florentine vase that I used to separate oil and water from each other. After distilling more than one hour, I stopped. Final result: 100 mL essential oil and approx 3 liters hydrosol. Because I’m very curious about the quality I will analyze this oil composition and the presence of pesticides.